This special Thanksgiving episode's topic may be a little heavy for some, but hopefully helpful for all. We're joined by Jerry aka Barnacules to talk about mental health and have a good long talk about taking care of yourself. Is it ashes to ashes for Ashe? Or What about B.O.B.? We answer these questions, share our opinions on her release, some info from BlizzCon, upcoming changes to Brigitte and Doomfist as well as all kinds of other stuff. It's time for all the Overwatch smurfs to be dealt with. And Hanzo's scatter arrow too! Lishadra and TheBigJB discuss these issues along with commentary on another Dev Update. The 2018 Lunar New Year event has arrived. We talk about the new map, the changes to CTF, along with a couple new features that released as well! The crew discusses what our history is with Blizzard products along with a recent developer update about Mercy and toxicity in the community. Cosmetic updates are here! And they're in normal loot boxes! We talk about our favorites, Blizzard World, and some D.Va strategies. So much happened in 2017 and so much is going to happen in 2018. We talk about Jeff Kaplan's developer update, all the things that we received from Overwatch in 2017 and what we're hoping for in 2018. Merry Christmas & Happy New Year! We're discussing one trick ponies, Blizzard policies, Moira in comp, and the latest Overwatch comic. Christi and Sarah are back! Listen for details on how to win prizes for our 50th episode, opinions on Moira, and Winter Wonderland predictions like what costumes we think we'll see, pricing, and special maps or events. Stay for the exciting 50th episode contest announcement toward the end! JB flying solo this week because Sarah has holiday prep to take care of and Christi's voice is shot. 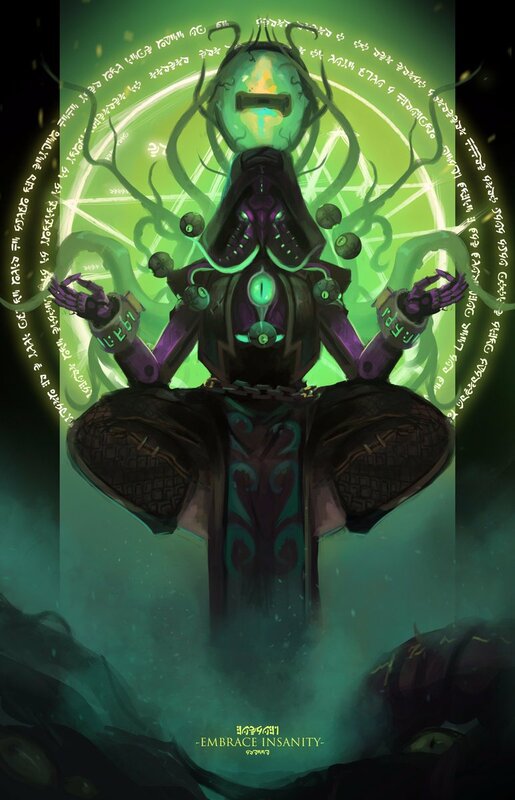 He reviews the interesting information from the the Overwatch Archive panel from Blizzcon 2017, great insights from the Overwatch Concept Art book, and why he is sick and tired of character "shipping". We start off talking about the end of the Halloween Terror event then suddenly realize it's the show before BlizzCon! After covering the gist of many of the topics we switch to our predictions for BizzCon 2017. In your app, tap for the full description to get links to the informational content. Halloween event ends on November 1st. New comic for this year’s Halloween Terror is cool! New Battle.net app with cool new social features including sending lootboxes to your friends! Winston shield health marker on PTR. 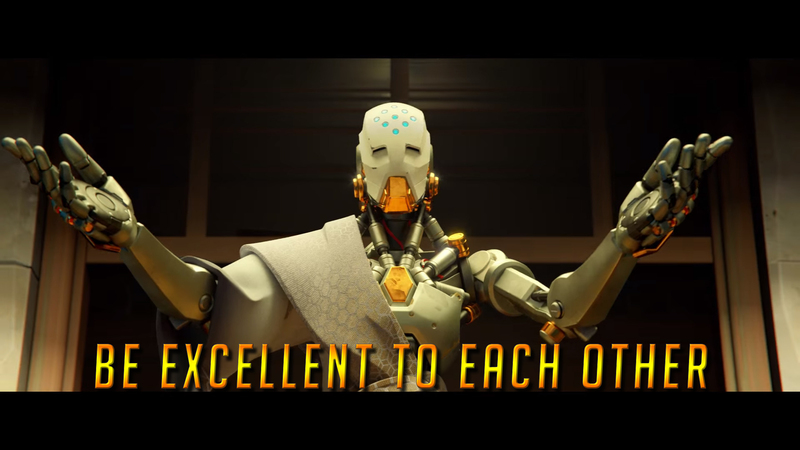 Just like Orisa and Reinhardt. Voice line spamming is an actionable offense. Is Mercy a must-have following the changes? We feel like that's true. And what are these rumors of changes to Genji and Junkrat on the PTR? We once again discuss the downside of making rapid changes. We also dig into the Halloween event, what Mei's skin is all about (jiangshi from Chinese mythology), and Mercy concept art! Black male Mercy concept art. Tip of the Week: don't be a jerk! The developers of our fave game shouldn't be afraid to talk to/with the people who play their games. Terrorizing anyone is NOT OK.
How does she know JB? Called it wrong: Halloween event was not announced last week. Maybe this week? Sidenote: Overwatch broadcaster casting call. Why JB didn’t apply. 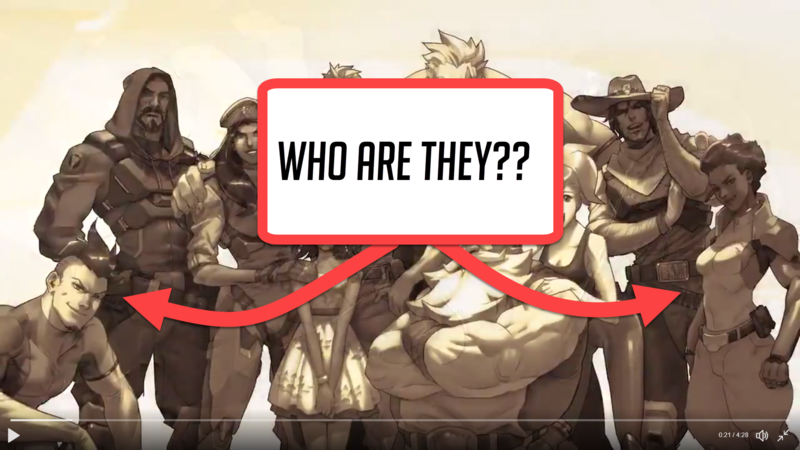 Who are the people in the Ana hero spotlight?? Symmetra’s hindi lines on PTR. Hero changes we’ve previously discussed (Junkrat, Roadhog, Orisa) have been released including a couple changes to Widow that we didn’t know about. Is the Junkertown Queen going to be a playable character? A particularly prolific system abuser and Blizzard's actions. Doomfist changing the meta: as predicted. Junkertown reminds JB of 2Fort from TF2. Which makes sense. Junkrat and Ana coming to Hots. Deathwing skin for D.Va - awesome! Volskaya battleground + themed skins.